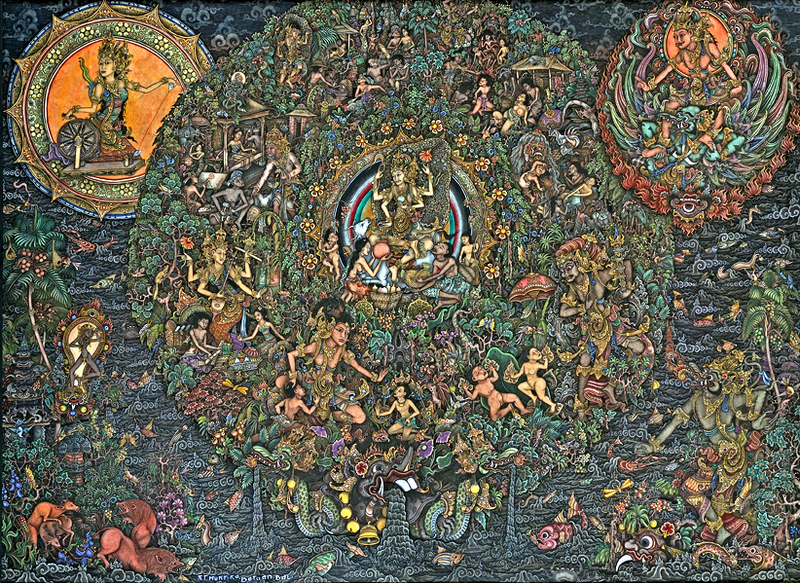 A collection of traditional and contemporary Balinese fine art. Agung Rai Museum of Art (ARMA) was founded by Agung Rai, a Balinese who has devoted his life to the preservation and development of Balinese art and culture. The Puri Lukisan Museum is the oldest art museum in Bali which specialize in modern traditional Balinese paintings and wood carvings. The museum is located in Ubud, Bali. Balinese art is of Hindu-Javanese origin and the work of artisans of the Majapahit Kingdom, from the late 13th century. Ubud Bali Painting Art Gallery: Balinese landscape painting, Buddha art painting, Batuan style. The home of one of the finest collections of pre-war Balinese paintings and woodcarvings in Bali. The Neka Art Museum was opened in 1982 and is named after a Balinese teacher Suteja Neka who collected paintings as a means of artistic documentation. Nowadays the museum has a great selection of works from many famous Balinese artists and expats who have lived here and influenced local artists. Skull Bliss is comprised of a large team of extremely talented indigenous artists from Bali, combined with western management. They take pride in producing 100% handcrafted animal skulls with stunning designs. Art markets in Bali, a guide. Art galleries and museums in Bali, a guide from Trip Advisor. Purpa Fine Art Gallery offers a unique collection of contemporary art by both established and emerging artists. They have represented not only Indonesian artists but artists of all nationalities who live in Bali or spend time here.